Following are some of the common questions we are asked. Please don't hesitate to contact us if you have a question that's not answered here. It takes a minimum of 7.5 months from the date you file an application to secure full registration in Australia. How much does it cost to register a trademark in Australia? 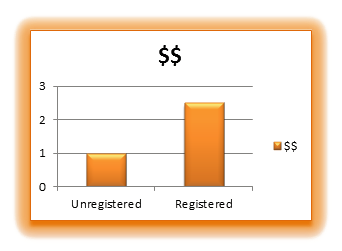 The cost to register varies. The biggest factor in determining the cost is the type of products and/or services your trademark is used to identify. All goods/service fall into 'classes' and fees apply per class you require. See our fees page for more information. Why should I register a trademark? What are the benefits? Generate further income for yourself, even after you retire! Each registered trademark you own is a valuable asset, generating further income for you! What rights do I have as a Trademark Owner? The registered owner has the right to use their trademark in connection with goods/services that they nominate and generally control how the trademark is used for those goods/services. This can include licensing use to others for a fee, and taking action against people found to be breaching your rights.